Gravity is game mixing physics, interactive music and typical top-down shooter. The player must defend his tiny world, by shooting ennemies falling from the sky. He also has to clean his planet from their bodies, their weights causing the fall of the platforme in the lava! The shoots, impacts and other sounds create an interactive music which contrasts with the constant pressure of the gameplay! 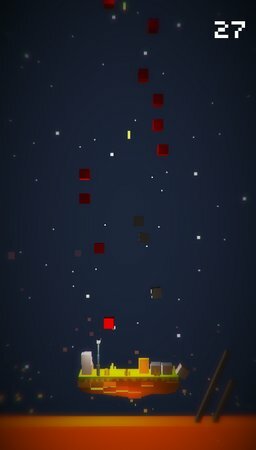 Made in few hours during a week-end on the theme "Tiny World", the game has been well received by the players and ended 30th of the overall rating of the competition (there was more than 1400 games submitted! ), 22nd in the sound section, and 34th for the graphics! The game presented is the jam version , so there is no difficulty progression and a some visual feedbacks are missing!